Nomvula Mokonyane, South African Minister of Environmental Affairs has commended the work of customs agents who recovered 36 rhino horns at OR Tambo International Airport earlier this week. 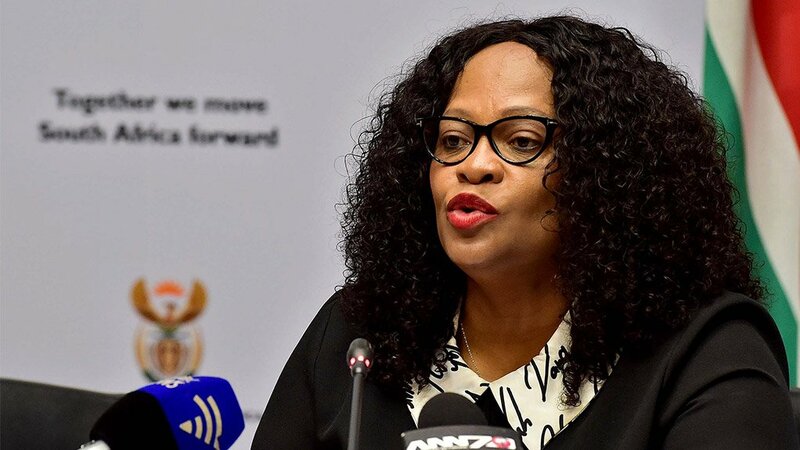 “The discovery and confiscation of the rhino horn estimated to be worth more than R23 million, is a feather in the cap of enforcement agencies working to rid the airport and country of wildlife-related crimes,” said Mokonyane in a statement on Friday. South African Revenue Service said the 36 pieces of rhino horn were found after “Lizzy”, a detector dog, reacted positively to a consignment of so-called "decoration Items" in a warehouse at the airport. Mokonyane said: "SAPS announced that the seizure was part of an ongoing operation into ridding the airport of criminal activities following the recent confiscation of rhino horn originating from Southern Africa in the Far East. "The actions of the multi-disciplinary team, comprising of police, the Department of Environmental Affairs’ Environmental Management Inspectorate (Green Scorpions), customs and excise, K9 units and ACSA security are applauded," the minister added. "Their efforts to rid our ports of entry and exit of particularly wildlife smuggling is an indication of the ongoing success of the Integrated Strategic Management of Rhinoceros approach."